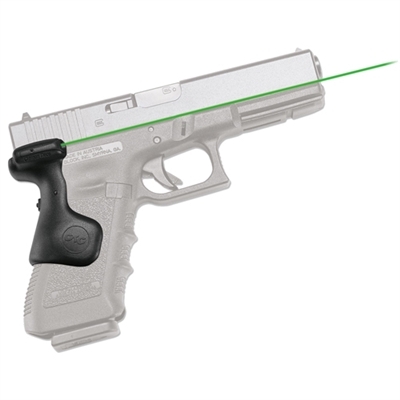 LG-637G Green Lasergrips are a rear-activated green laser sight for Glock 3rd Generation Full-Size pistols in the following models: 17, 17L, 22, 31, 34 and 35, 37. Featuring Crimson Trace's famous Instinctive Activation, which allows the laser to be activated with a normal firing grip, the LG-637G includes a Master On/Off Switch for completely powering down the unit. User-installed in moments by attaching securely to the gun frame, this laser sight is fully adjustable for windage and elevation.